The PCS Co #1 was valued at $1,500 at the time of the loss and had no insurance. POLITKOFSKY (1899) The 174.89 ton fuel barge Politkofsky went ashore and was pounded to pieces at Nome in 1899 with a load of coal. This same old Russian gunboat served as a fuel barge for the Eliza Anderson on her journey north from Seattle in 1897. POLITKOFSKY (1915) The cedar hulled vessel Politkofsky broke up on the beach at St Michael in an April storm in 1915. This stout hull had remained intact since the gold rush days. Lost in the disaster were Martin Brimhall, Charles Green and an Eskimo Boy, name unknown. The Princess was valued at $1,000. The vessel and her cargo were total losses with no insurance. The Prosper was valued at $100 and was a total loss with no insurance. The Prosper was lost along with the 150 foot schooner Sequoia. 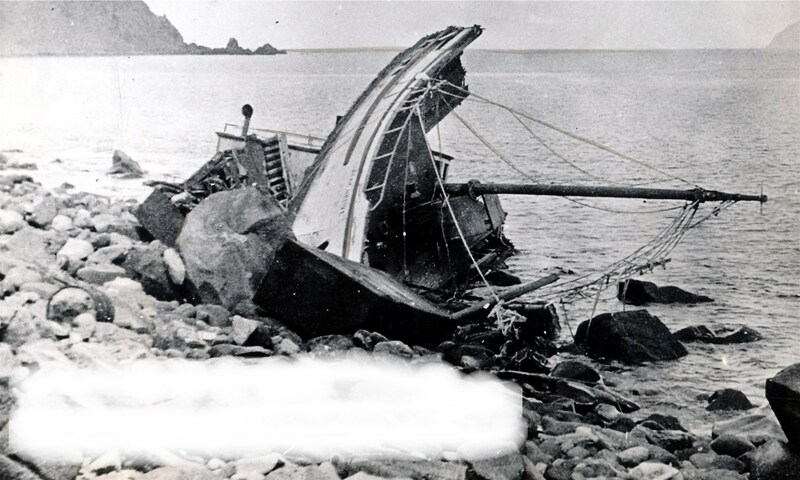 Some records indicate that the two vessels were salvaged in 1902.